Carbon Tax Panel Could Be Teachable Moment for U.S. In his climate change speech last June, President Obama, as politicians are wont to do, was vague as to how his administration was going to enact or push for some of his key points on addressing climate change, specifically concerning curbing carbon emissions. Recognizing a need is easy. Taking action, especially when politics are involved, often proves to be a challenge. The greatest challenge that the U.S.—and indeed the world—is currently facing concerning climate change is how to curb carbon emissions without negatively affecting the economy. On March 27, just north of the U.S. border in Vancouver, a carbon tax panel will be held that could serve as a teachable moment for the U.S. and the world. More importantly, it could present a possible way forward concerning reducing carbon emissions in the U.S. Since July 1, 2008, the Canadian province of British Columbia (B.C.) has imposed a carbon tax that sets a price on carbon emissions within the province. The panel to be held in Vancouver next week will bring together Spencer Chandra Herbert, a member of B.C.’s legislative assembly; Merran Smith, director of Clean Energy Canada; and Ross Beaty, chairman of Alterra Power Corporation. Chris Mooney, Climate Desk Live host, will lead the panel through questions concerning the pros and cons of B.C.’s first five years of taxing carbon emissions. Those interested in participating can join the event on Facebook here. Given the economic collapse that occurred around the same time the B.C. carbon tax was enacted, it’s difficult to truly gauge the economic impact of the policy; moreover, it often takes long-term studies to gain a comprehensive understanding of the impact of any policy. However, there are a few things that are known in the short-term. According to Sightline Institute, between 2007 and 2011, energy-related greenhouse gas emissions dropped by nine percent per capita in B.C. (though this was true across the board throughout Canada); B.C.’s GDP, which was slightly below Canadian average in 2008, initially dipped lower, but has now risen to match the rest of the nation; inflation in B.C. has stayed static compared to the rest of the nation, meaning the tax has had no affect on inflation; and sales of refined petroleum products per capita dropped by 15 percent in B.C. during that period, significantly outpacing the rest of Canada. Overall, the Sightline Institute report asserts that the B.C. 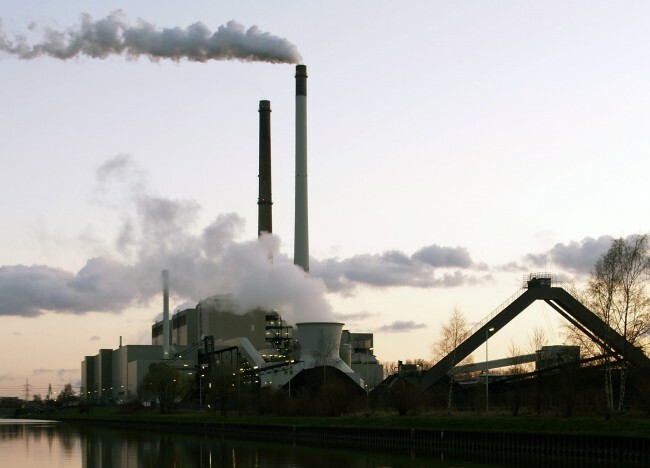 carbon tax has lowered carbon emissions while not negatively affecting the economy; however, the report was not without caveats. Though 100 percent of the taxes taken in (about $1 billion annually) are given back to B.C. taxpayers, the tax has proved to be regressive. One outcome of the carbon tax, rising fuel costs, has a disproportionate impact on low-income families. Further, the tax funds a special low-income tax credit that has dropped from accounting for 34 percent of the carbon tax revenue in its initial year to accounting for only 12 percent of the carbon tax revenue in 2012, with revenue being continually shifted toward additional corporate and business tax cuts; this shift is attributing to a gradual growth in the revenue gap. British Columbia progressive groups and legislators have called for an adjustment of the tax code to address this issue. A carbon tax along the lines of the one imposed by B.C. has long been championed by U.S. climate scientist Dr. James Hansen. While working for NASA, Hansen famously addressed the U.S. Congress in the summer of 1988, conveying his scientific findings concerning the correlation between human actions and rising global temperatures. Since then, Hansen has continued to study climate science and the possible dire consequences of rampant fossil fuel extraction and burning. It’s Hansen’s belief that a carbon tax is the best way to wean the U.S. from its fossil fuel dependency. However, Hansen’s proposal for a U.S. carbon tax differs slightly from the B.C. model. Though Hansen’s model does also return 100 percent of the revenue collected back to taxpayers, the B.C. model is distributed through tax credits, whereas Hansen’s model calls for directly distributing the revenue in the form of a monthly dividend or “green check” to all U.S. households. In terms of driving the economy, this appears to be the better option, as those who spend and drive the economy—middle and working class—will take the revenue from the carbon tax and infuse it directly back into the economy. The money that consumers receive will also help to offset any rise in energy costs due to the carbon tax and it will spur market forces that encourage growth in green energy alternatives. To draft his carbon tax proposal, “Climate Stewardship Act,” Hansen incorporated key elements of bills proposed by Congressmen Bob Inglis (R-SC) and John Larson (D-CT), as well as valued input from religious leaders and organizations such as Citizens Climate Lobby, the Carbon Tax Center and Price Carbon Campaign. The “Climate Stewardship Act” was first proposed by Hansen on Earth Day, April 25, 2010. That was nearly four years ago. Though there has been talk of the need to take action to curb carbon emissions—including President Obama’s speech last summer—no significant action has been taken along those lines. Next week’s carbon tax panel can serve as a teachable moment for the U.S. If policy makers are willing to take notice, the discussion in Vancouver could provide valuable insight into how citizens, businesses and legislators feel about the tax. Much of the fear around imposing a carbon tax is not knowing if it will work or how it will affect the economy. British Columbia offers a case study in those regards. As is the case with most political issues, no matter how black and white partisan media outlets and talk show pundits make the issue look, there are no easy solutions to effectively curbing carbon emissions while protecting the economy from harm. There is no scenario where the environment, businesses, energy companies, consumers and all political parties involved come out as “winners”; however, reducing carbon emissions is also not a zero-sum game. Whether or not President Obama and U.S. policy makers take advantage of the teachable moment that next week’s carbon tax panel presents remains to be seen, but if the President is truly serious about his commitment to addressing climate change, he can’t afford to miss it.